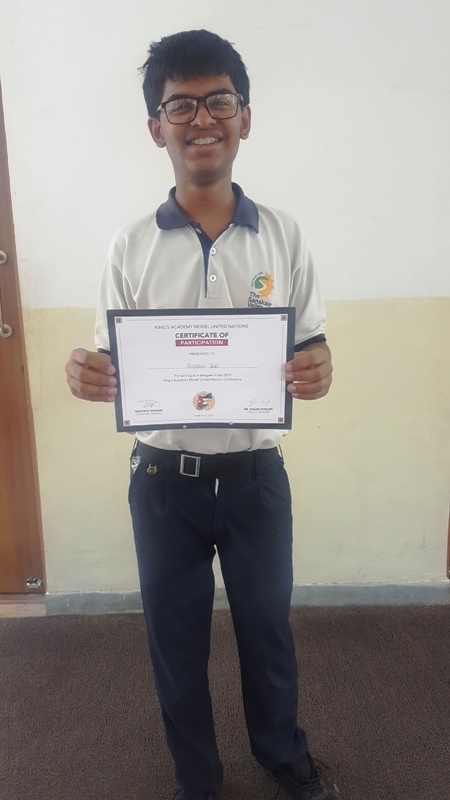 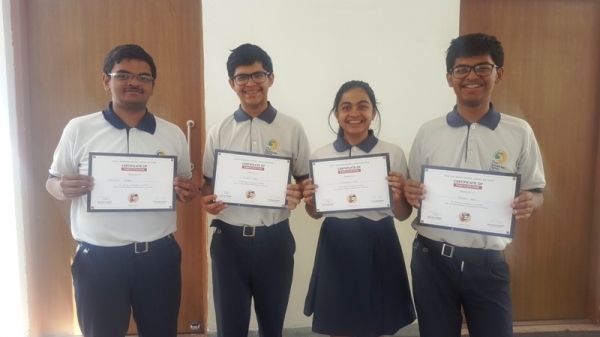 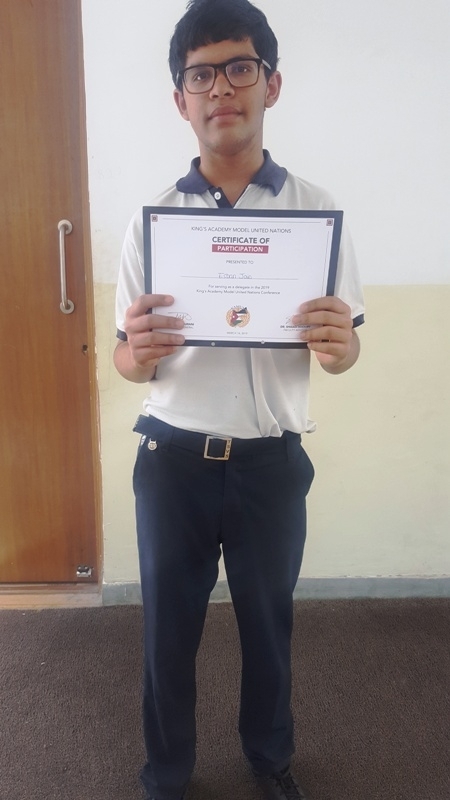 Eshan Jain of Class 10 IG was awarded ‘Delegate of the session’ for Session 7,Agenda- ‘unemployment due to advancement in technology ‘as part of the Committee ‘ECOFIN’. 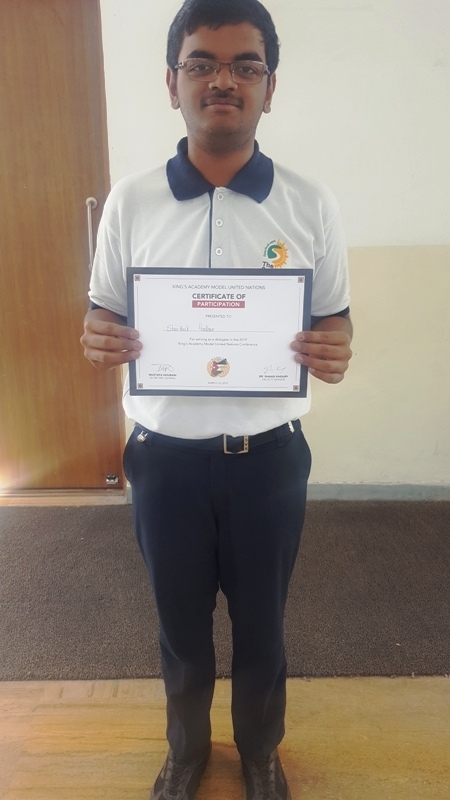 Sarthak Jain of Class 10 IG was awarded ‘Delegate of the session’ for Session 6, Agenda- Crisis as part of the committee ‘Disarmament commission’. 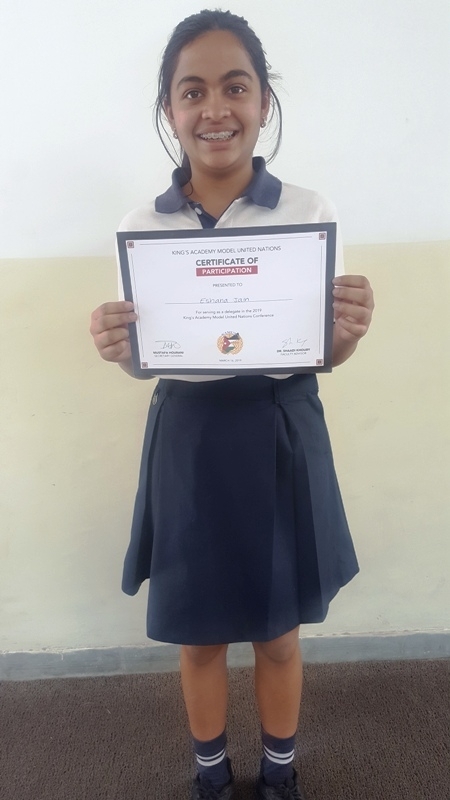 Eshana Jain of also got ‘honourable mention’ and the runner up over all delegate for the committee ECOFIN.